Erreà Malik is the ideal sweatshirt for those who play sport: featuring a sporty cut and athletic look, this sweatshirt is extremely comfortable. 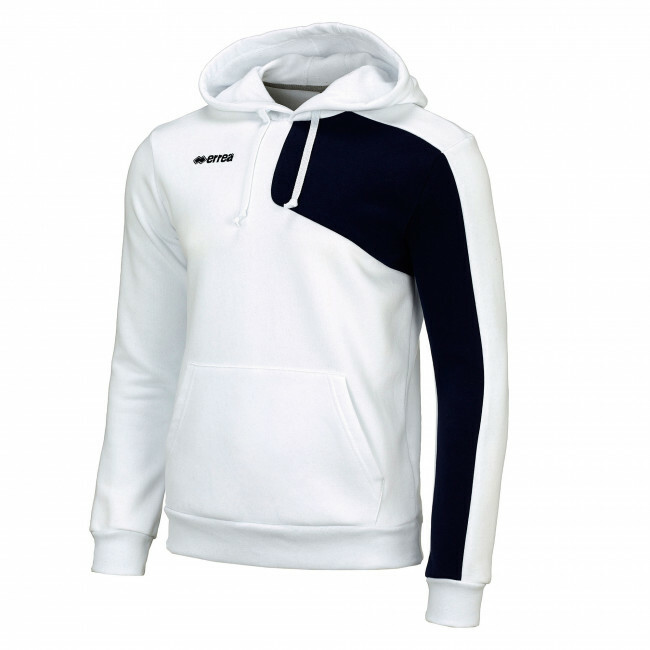 The inside is made of soft cotton, perfect for insulating your body and keeping it warm before important games and competitions; for all-round protection, it also has an adjustable hood with draw strings and elasticated cuffs on the sleeves. There is also a practical wide pocket on the front to hold your most important belongings.